Boost My Shop provides one of the easiest ways to generate barcode numbers as well as print barcode labels. 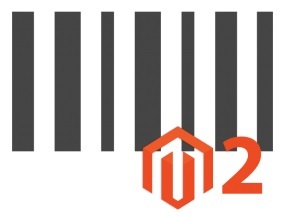 Furthermore, you can seamlessly assign barcodes to all products on your Magento 2 website. And if a default barcode layout seems not to be good enough, you can create a custom one. The Boost My Shop Barcode Label Magento 2 extension is especially useful in two situations. 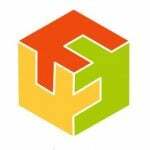 First of all, the module will be very helpful if you are a manufacturer. 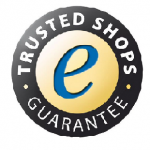 Thus, you will provide your customers with products that already have barcodes. 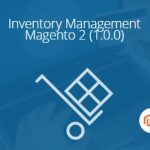 The second case, when you should install Boost My Shop Barcode Label for Magento 2, is related to a situation when your supplier provides products without barcodes. Note that you should use Boost My Shop Barcode Label in a combination with Embedded ERP or Barcode Inventory, since both extensions support barcode scanning. Thus, you will significantly improve productivity and decrease the level of product mismatch. Note that print labels are often used for logistic purposes or to display prices in a store. Let’s configure the extension first. There are three tabs of settings available with the Barcode Label extension: Barcode generation, Label items, and Label layouts. In Barcode generation, you can enable/disable automated barcode assignment to new products, choose a barcode attribute, select a barcode type, as well as assign barcodes to already existing products. In Label items, you select location attribute, manufacturer attribute, two custom attributes and add free text and a company logo. In label layout, you specify such parameters as label height and width and enable/disable various details that will be displayed on a label. Below, there is a preview of your barcode. 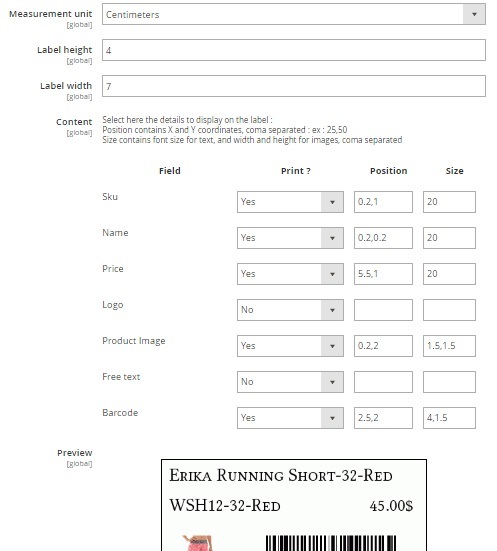 To print labels, go to Products > Catalog and click on the Print link in the Barcode Label column. As you can see, the extension has a very intuitive interface. At the same time, there are enough settings to fully control the appearance of your barcode labels. 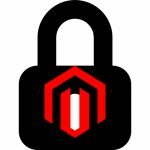 As for the price of the Boost My Shop Barcode Label Magento 2 extension, you can purchase it for €189.